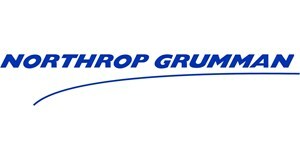 NORTHROP GRUMMAN SYSTEMS CORPORATION, DIV NAVAL AND MARINE SYSTEMS, DIVISION is an Active Commercial Supplier with the Cage Code 21877 and is tracked by Dun & Bradstreet under DUNS Number 091451302. CIRCUIT CARD ASSEMBLY NSN 7HH 5998 01 543 0218 ADDITIONAL TECHNICAL EVALUATION AND TESTING REQUIRED FOR REPAIR OF ITEMS (QUANTITY 6). IGF::OT::IGF EQUIP. CHANGES/ORDALT ALTERATION, REPAIR/MAINTENANCE AND ENGINEERING SERVICES FOR AN/SPQ-9B RADAR. 200504!116065!1700!N63394!PORT HUENEME DIVISION !N0002403G4008 !A!N! !N!0002 ! !20041202!20050930!091451302!008255408!016435559!N!NORTHROP GRUMMAN SYSTEMS CORPO!65 MARCUS DR !MELVILLE !NY!11747!46514!103!36!MELVILLE !SUFFOLK !NEW YORK !+000000172888!N!N!000000000000!R425!ENGINEERING TECHNICAL SERVICES !S1 !SERVICES !000 ! * !541330!E! !4! ! ! ! !C!20050930!B! ! !A! !D!U!J!1!001!N!1A!Z!N!Z! ! !N!C!N! ! ! !A!A!A!A!000!A!B!N! ! ! ! !1700!N63394!0001! ! AN/SPQ-9B RADAR SYSTEM - UPDATE CONTRACT ADMINISTRATION AND PAYMENT OFFICES; REVISE THE DEFINITIZATION SCHEDULE.